Knee Joint Preservation Surgery - DOCJOINTS//DR SUJIT JOS//Total joint replacements with the best quality care at affordable price options at kochi, Ernakulam, Kerala, India / Knee, hip, shoulder, ankle, elbow replacement, Sports Medicine – Keyhole / Arthroscopy for Sports Injuries / cartilage preservation and cartilage regeneration techniques / minimally invasive subvastus / rotator cuff repair, biceps tenodesis, subscapularis repair, shoulder dislocation, bankart, Latarjet / Dr Sujith Jose is a renowned Orthopedic surgeon with vast experience in Joint replacement and satisfied patients from all around the world. Economical / budget knee done as special package price/ cartilage restoration, OATS, Ankle arthroscopy/ acl pcl mpfl meniscus repair/ wrist arthroscopy tennis elbow/ modular imported high quality operation theatre – Johnson & Johnson theatre with double lamina flow – The best care for your joint problems! One in six Indians over the age of 40 years have some form of arthritis, a degenerative condition of the joints, creating pain, swelling and limited movement for sufferers. Osteoarthritis is notably one of the most debilitating forms of arthritis and is characterized by the deterioration of articular cartilage accompanied by changes in the subchondral (below the cartilage) bone and soft tissue of the joint. While joint replacement surgery has shown promising results for thousands of patients, it isn’t always the answer for the treatment of advanced osteoarthritis. 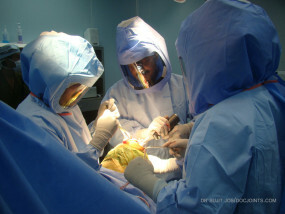 In recent years, joint preservation and joint restoration techniques have allowed individuals to put off joint replacement surgery. In general, these are performed in patients who may have some localized areas of pathology, bone spurs that are decreasing their motion, or any other patients for whom a total joint arthroplasty may not be indicated because of their age, activity level, or weight. The goal of joint preservation is to restore the functionality of a joint and delay the need for joint replacement surgeries. Operative treatments for arthritis can be divided into two categories: preservation and replacement. 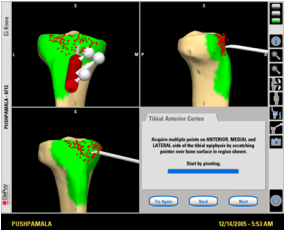 Joint replacement surgery replaces the joint with a prosthetic made of metal and plastic. Joint preservation, on the other hand, seeks to reconstruct the joint in order to delay the need for replacement surgery. Preservation techniques are usually more successful if the patient is young and the arthritis is limited to certain areas of the joint. Joint preservation techniques include specific osteotomies (surgical cut to the bone) and distraction in order to realign the joint. The treatment strategy depends on a number of factors, such as the level of severity and the affected joint. 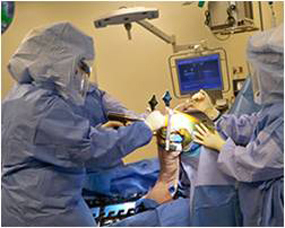 The most common form of joint preservation surgery is arthroscopic. In this circumstance, a clean out of all the pain mediators in the knee may be indicated. This would involve removing irritated synovium, releasing scar tissue and contractures, removing offending bone spurs, and trying to improve a patient’s motion in both their patellofemoral joint and the tibiofemoral joint. This would especially involve patellar mobilization and trying to regain full knee extension. Other forms of joint preservation surgery can be more specific. These include treatment of localized areas of arthritis with a microfracture, an autogenous osteochondral transfer, or a fresh allograft. These can be performed with or without a proximal tibial or distal femoral osteotomy, All of these are considered to be “joint preservation surgeries,” but are usually indicated in patients who have a thorough clinical exam, radiographic workup, and MRI scans which demonstrate their suitability for these procedures.